When it comes to your safety and the safety of your family, you don’t want to cut any corners at all. You need to have the best of the best, even if it never gets used. It’s far better to “waste” a lot of time preparing for a crisis that never happens than to have one strike that you aren’t prepared for at all. That’s why every household, every office, even every car, should always have a fire extinguisher on hand. Sure, you might never need to use it at all, but if you do have a fire break out in your home or your office, a fire extinguisher could be the one thing that makes the difference between a momentarily frightening experience and a life-altering (or ending) event. It’s better to have it and not need the fire extinguisher rather than to need it and not have it. But with something as important as fire safety, you don’t really want to head off to your local department store and grab the first extinguisher that you see off of the rack. You have no idea how well that extinguisher will work at the time that you need it, and you aren’t likely to spend much time trying it out when you don’t. In order to make sure you can get the highest quality product to protect yourself, your property, and your loved ones, we’ve compiled this list of the top ten fire extinguishers that are available to consumers today. Most of the fire extinguishers on this list look approximately the same. They might have different specs but show a layperson a picture of one after another, and they’re not likely to be able to identify the difference. But with the H3R Performance HG100C, you can just look at it and tell that it’s a cut above the regular fire extinguisher, which is just part of the reason that it takes our top slot. The foam that an extinguisher sprays at the fire is often comprised of dry chemicals; they get the fire out all right, but the chemicals themselves can damage your property. The Performance instead uses a cleaning agent, which wreaks less havoc on your property after use. No bulky extinguisher you can knock a bad guy out with like in the movies, the H3R Performance is only ten inches tall, but it packs a powerful punch and can spray up to 8 feet away. No lie, the H3R is a quite expensive product, far more so than basically any other extinguisher on this list. 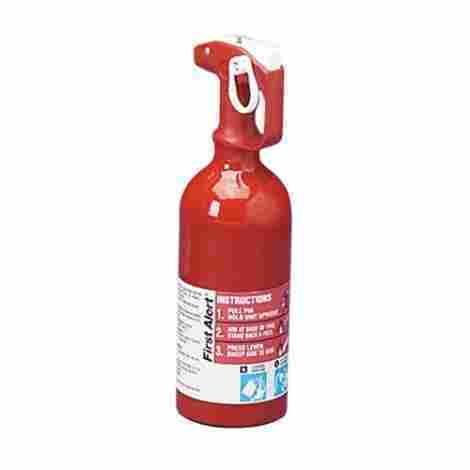 If you use it and need to refill it, the cleaning agent is also more expensive than other extinguishers’ chemicals. If you can’t afford the H3R, don’t feel like other extinguishers can’t protect you; they can. The Performance is just the top of the line. Hailed as one of the most all-around reliable extinguishers out there, the Amerex B500 is a preferred choice for homeowners. It’s not too small, not too large, convenient enough that you can forget about it when you don’t need it, but know that it will be there and work when you do. Many extinguishers won’t come with a capacity to be refilled, but with the Amerex B500, you can get it refilled after you’ve used it up. The Amerex B500 is one of the most dependable models out there, always working when its owners need it to. It also comes with a six-year warranty. 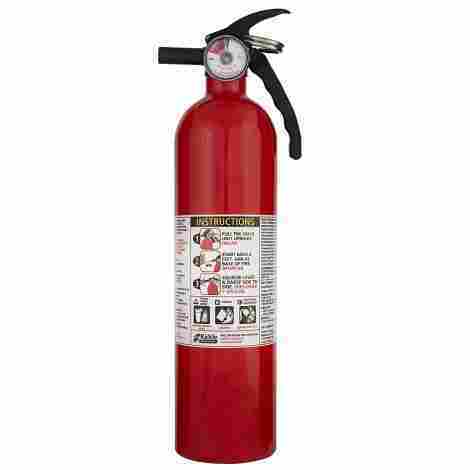 The Amerex B500 is pretty standard as fire extinguishers go. It’s not a negligible purchase, but it won’t break the bank, either, and you’ll be glad that you have it. 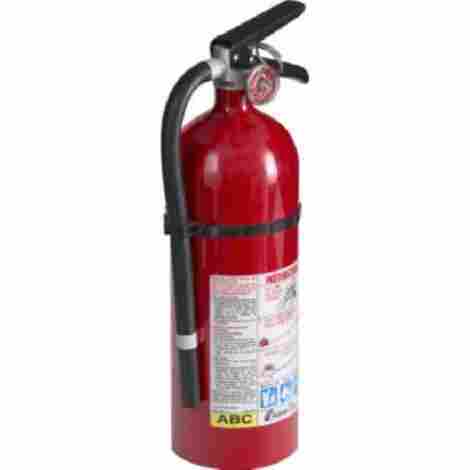 When you think of a fire extinguisher, you probably think or a sizable canister, probably red, likely made of metal, with a valve on one end to spray from. May extinguishers do abide by the standard look and size, but sometimes, especially in tight places like a car, that simply won’t do. Or maybe you’re struggling to make bills, but you want to stay safe anyway. If either is the case, take a look at the Tundra. More than it resembles a fire extinguisher, the First Alert Tundra looks like a big can of bug spray. It’s sold separately or in packs of two, can be tossed into a glovebox or stored in a cabinet, and will be easily accessible when you need it. Like most extinguishers, you’ll have to toss it out and get a new one once you’ve used up the contents. Unlike most others, however, you won’t automatically use all of the chemicals the first time you use it. Because you can control how much you spray, you can make them last longer. Assuming fires are a semi-regular occurrence, of course. Nothing on this list will provide quite so much value as the Tundra, just because very few of them approach the level of inexpensive that you get with the Tundra. Amerex is one of the most reliable companies out there for fire extinguishers, which is why it’s the only company with multiple entries this high up on the list. With the B402, you’re getting many of the same advantages as the B500. The major difference is size; the B402 is bigger, which translates to more power, but less convenience. The B402 has a higher classification than most other extinguishers, which is the aforementioned size difference. That makes it an ideal extinguisher for warehouses and workshops, but somewhat less so for small kitchens and apartments. You can shoot the B402 from about 18 feet back, which is quite a bit further than most other extinguishers, keeping you safely away from the danger zone. Despite the size and material differences, the B402 costs just about the same as the B500. Since the difference between the two is less quality and more situational, they should provide roughly the same value, depending on who has to use them. If any two extinguishers from different companies have the most in common, it’s the First Alert Pro5 and the Amerex B402. The two are extremely similar in design, both having a higher classification and being able to deal with larger fires. The First Alert Pro5 is a bit more expensive, but it’s also easier to find in hardware stores. The price tag associated with the First Alert Pro5 might be an initial turn off to customers, but it’s backed up by a fantastic warranty, somewhat mitigating that price tag. A bit on the pricier end, but if you’re buying for an industrial kitchen or a warehouse, or even just a decently sized home, the price tag is probably worth it. It’s widely available, so it might be easier to acquire than some other models. One issue with fire extinguishers is that they don’t get used for years on end, which can potentially lead to rust issues. The Kidde Pro 210 won’t rust, due to the aluminum powdering. The chrome valve is very sturdy, the pin is easy to remove, and there are instructions listed in bold on the side. It can be used by anyone, even if you’ve never used an extinguisher before. About average in price, if a little below average, the Kidde Pro 210 also comes with a six year warranty, so it’s a one time investment that you won’t have to think about for a while. If you need to get a smaller fire extinguisher, for an automobile or because you need to save storage space, but don’t feel comfortable with a disposable canister that looks like a can of Raid, don’t worry, First Alert still has you covered, with the incredibly catchy FIAFESA5. Unlike the name, the extinguisher is very small and easy to fit anywhere. The easy portability is definitely the largest draw of the FIAFESA5; it’s so small, it can fit in some larger gloveboxes. Just tuck it away, and have it at easy access if you ever happen to need it. Unlike other car-specific extinguishers, the FIAFESA5 can be used on a number of different types of fires, making it viable for use in workshops, garages, kitchens, or any other area with limited space to work with. The FIAFESA5 is quite affordable, making it a great choice for anyone who’s on a tight budget, but keep in mind, it can’t be refilled, so if you use it once, you’ll need to get another one. If you’re a fan of the disposable canister style extinguishers, and for some reason, you have them with some frequency, you might want to look into the Fire Gone Fire Suppressant Canisters. Not only are they affordable, but they also come in two packs. The downside with these canisters is that you can only use them once. That’s why they’re available in two-packs so that you don’t need to go out and get a new one the first time you use one. The obvious reason, aside from cost that you’d want a canister extinguisher, you can keep it just about anywhere. Shove it in the back of the cabinet or in a trunk, ready to be used in case you need it. 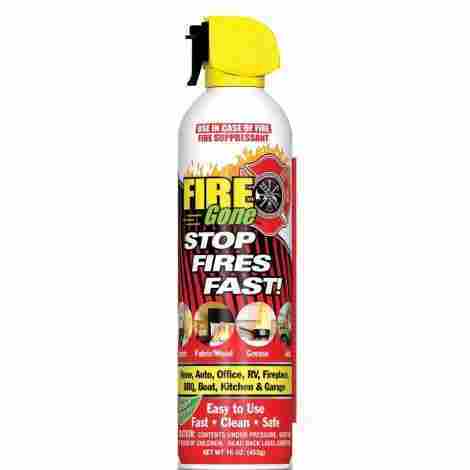 Quite inexpensive already, the Fire Gone Fire Suppressant Canisters come in two packs, meaning they’re actually half of that initial price. That level of value is hard to beat, even if you can only use them once. As the name implies, the Kidde FA110 Multipurpose can be used on any type of fire, even though it’s not one of the higher classification extinguishers. It’s versatile, durable, and effective, everything that you need from a fire extinguisher. An issue many extinguishers have issues with the bracket holding them in place. 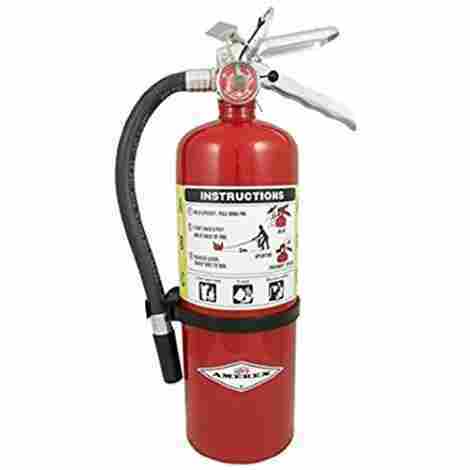 The Kidde FA110 Multipurpose has a special bracket that holds the extinguisher in place, eliminating that problem. Made from aluminum, the Kidde FA110 Multipurpose is extremely lightweight, which makes it easier to use by anyone in a crisis. The Kidde FA110 is actually quite low on the price scale of extinguishers, largely because it has less material and is lighter. It might not be ideal for larger fires, however. And finally, at the other end of the spectrum but also from Kidde, we have the Kidde Pro 10MP. It’s a high capacity extinguisher, meaning it’s got a lot of chemicals inside it, and it’s capable of taking down a significant blaze. Use this if you have need to deal with a large scale fire. No extinguisher on this list has as high of a classification than the Pro 10MP. Keep in mind, that isn’t a classification of quality, but of power; in terms of sheer output, the Pro 10MP is one of the best available to consumers. Along with the power of the output, you also get a long range; the Pro 10MP is capable of shooting its payload up to twenty feet away. As you might expect, the larger chemical payload and size of the extinguisher does translate to a larger price tag. Whether that’s worth it depends on whether you will have a need to deal with a sizable fire or not. While fire extinguishers do all seem to share a lot of the same core qualities, there is a significant amount of variation within that similarity. There doesn’t seem to be a single best extinguisher, although a few of them likely are the best of that particular type. But it’s not necessarily necessary to purchase an extremely expensive extinguisher if a sturdy and reliable one would do. Ultimately, you need to judge for yourself how much you are willing to spend, and what capabilities you need your extinguisher to have. Be reasonable, but don’t go cheap on this; choosing the proper extinguisher could be a life-changing or a life-saving decision. Weigh out all of your options properly, then chose the fire extinguisher that you think will do the best job keeping yourself, your loved ones, and your home safe. The most important factor for something that you need to use in an emergency is that it does, in fact, work. If you need to use a fire extinguisher at all, you’ll probably only need it once. It doesn’t need to work consistently, it just needs to work that one time. That’s why reliability was one of the most determining factors for this list. You can’t judge the reliability of something that you can’t ever test on your own, you have to rely on the collective experience of everyone else who has used the type of extinguisher that you’re thinking about buying. If thousands of people have had their model work for them when they needed it most, then you’re likely to as well. Again, you’re probably only going to use the extinguisher once, so you don’t want it out all the time. Ideally, you’ll be able to tuck it away, somewhere out of place but easy to access in a crisis. The smaller, thinner, and more compact an extinguisher is, the easier it will be to put it away in a manner that doesn’t cause issues. This is an especially big concern in apartments, where space is limited and every little bit of organization counts. If a fire extinguisher is difficult to use, then it becomes an obstacle at the worst possible moment. 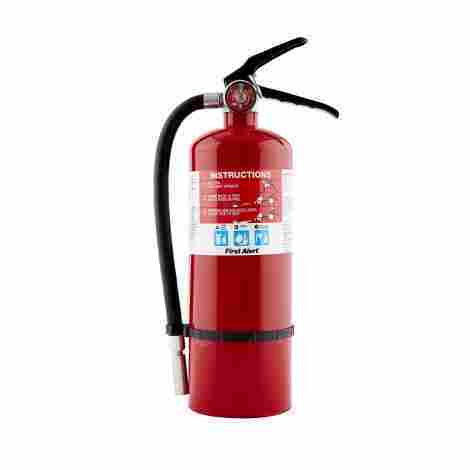 Fire extinguishers need to be as straightforward as possible, so that a person who is likely panicking can figure out how to use it with very little issue. Some extinguishers on this list have measures that they have taken to make use easier for the layman. Nearly all of the extinguishers here have a list of instructions written on the outside. The lighter and more easily portable a fire extinguisher is, the easier it will be to get it and to use it in a situation that calls for it. If the extinguisher is so heavy that you have difficulty using it, that’s a significant problem. On the other hand, the weight is mostly the material inside, so heavier extinguishers will be able to put out larger fires. You’ll likely want something somewhere in the middle, in terms of weight. Some of our extinguishers are only viable for certain types of fires, while others have a wider range of fires that they are effective on. While it is possible to anticipate what will catch on fire to some extent, i.e. there likely won’t be a molten steel issue in someone’s bedroom, you can’t ever predict the future. Having an extinguisher that is effective on a wider range of fires is better for obvious reasons. You won’t ever be able to choose what type of fire you have to deal with. It’s important to know that, unlike how the name sounds, classification isn’t a measure of an extinguisher’s quality. Instead, it indicates the volume of material it can spray and, consequently, the size of the fire that it can deal with. 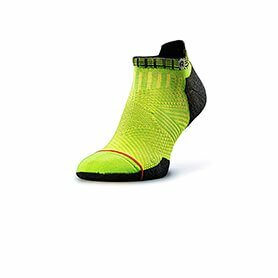 Therefore, classification is directly tied to weight and to size. You should judge the classification as a definitive measure, but instead, base it on what your needs will be. If you have a small apartment, you can go with a smaller classification of extinguisher; if your garage has a bunch of antique cars that you work on a lot, however, a higher classification may be necessary. Q: Why do I need to have a fire extinguisher? A: Thousands of people die every year in the house or office fires, and many more homes or buildings have been destroyed. Many of those could have been averted by early action. Fire is a tricky thing; once it has gotten going, it’s out of control, and often times even the fire department isn’t able to put it out. However, if you can get to it in time, it’s very possible to nip it in the bud. Having a fire extinguisher isn’t saying that you think you’re going to have a fire, it’s just being prepared for the possibility. If you never have cause to use it, alls the better, but that’s not a reason not to have one. It’s simply a gamble that no one should ever take. Q: Is it necessary to carry a fire extinguisher in my car? A: Car fires are a serious problem, whether they are sparked by an accident or a simple electrical issue. A car fire can rage, consuming the entire car and leaving it nothing but a ruined husk. People can sometimes be trapped inside them, too. Just like you need to stock a fire extinguisher in your home or office, it’s vital that you carry a fire extinguisher around in the trunk of your car, just in case a fire happens, and you aren’t prepared to deal with it. Q: How do you use a fire extinguisher? A: Using a fire extinguisher is pretty straightforward. It has to be, since the majority of people who are using a fire extinguisher are likely using it for the first time. The first thing you have to do is pull the pin out of the extinguisher. This pin is in place to make sure the extinguisher doesn’t go off at an inopportune time. It’s kind of like a safety for the extinguisher. 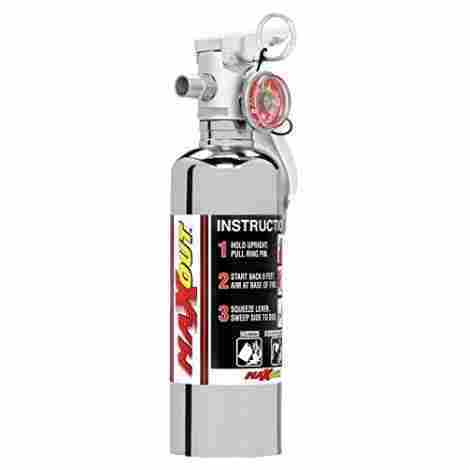 Once the pin is gone, you want to aim the nozzle of the extinguisher at the base of the fire. There can be an instinct to aim at the center of the fire, but remember, the flames are always coming upwards, and the base of where the fire is is where you need to extinguish. Finally, once you’ve got it aimed, squeeze the handle to initiate the release. You want to let the whole extinguisher spray out as much as it can, generally going for a solid ten to twenty seconds. In that time, sweep the nozzle to cover as much of the fire as possible, but remember to aim at the base of the fire at all times. 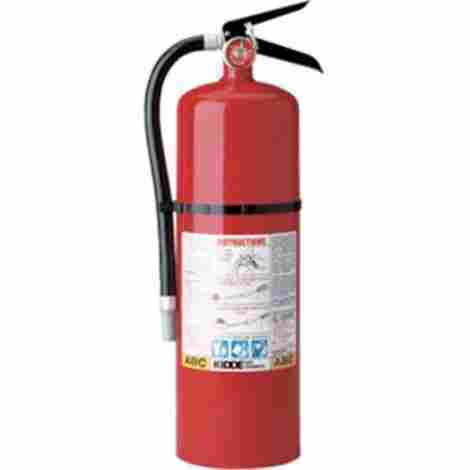 Q: What do fire extinguishers spray? A: Generally, fire extinguishers will spray one of two things. Either it will be a dry chemical, or a wet clean agent. Each have different advantages and disadvantages. The clean agent is more expensive and advanced, so most fire extinguishers use that dry chemical. Either way, the basic idea is the same: the spray smothers the fire by preventing any oxygen from getting to the flames, preventing further combustion. That’s the purpose of the foam that you always see getting sprayed at the fire. Q: Will a fire extinguisher still work after being used? A: That depends on the type of extinguisher that you have. In many cases, no, after a fire extinguisher has been discharged, that’s that. Especially with the canister type extinguishers, but also with a number of the larger metal extinguishers, you just can’t ever use them again after spraying them once. A number of the extinguishers on this list, on the other hand, can be refilled. The process isn’t quite as simple as putting oil your car, though, since the material needs to be pressurized, so you’ll want to take the extinguisher to a professional to get it refilled and re-pressurized. Q: How long can you use a fire extinguisher for? A: That depends on the extinguisher in question. Fortunately, extinguishers will generally display how long their lifespan is on their container. A typical lifespan of a fire extinguisher can last from anywhere from four to over ten years. To be honest, it’s not like the fire extinguisher suddenly stops working at that point, either. That’s just the point at which the extinguisher has deteriorated enough that it cannot be relied upon, and if there’s one thing that a fire extinguisher needs to be, it’s reliable. Q: Do fire extinguishers need to be inspected? A: Yes. Especially in a professional setting, fire extinguishers need to be inspected every year. If the extinguisher in question has a longer lifespan, then the internals should be checked as well, every six years. If you’ve got an extinguisher in your home, and you should, then, while there’s nobody enforcing you getting it inspected every year, it’s still a generally good idea. Q: What is a hydrostatic test? A: The ability of the metal cylinder to maintain pressure is vital for a properly functioning fire extinguisher. That’s the point of the hydrostatic test. All of the chemicals are emptied out of the container, and it’s filled up with water, which is put under pressure. The metal has to withstand the pressure of the water for a minute, without having any evidence of the stress show. If there are any dents, bulges, or cracks, then the extinguisher has failed the test, and wouldn’t have functioned properly in the case of an emergency. Q: Are canister fire extinguishers safe to use? A: It’s easy to see why someone might be a bit reticent about using a fire extinguisher that looks like a can of bug spray. It doesn’t have the same safety-first attitude that a stand up fire extinguisher has. And there’s some truth to that; a canister will never be able to take out a fire as big as a regular fire extinguisher will. That doesn’t mean that they’re useless, though; if you don’t have access to another fire extinguisher for any reason, the canister ones will still be helpful. They only become unsafe if they are allowed to overheat, like being left out in a hot, enclosed car. Q: What does the rating system (A, B, C, etc.) mean on fire extinguishers? A – Most types of fires that you’re likely to encounter, wood, paper, general trash, and most materials that are likely to catch on fire in a home. B – Liquid based fires, whether they be oil, gasoline, or even alcohol. C – Electrical fires. This is a particularly important one, because some things that will put out a regular fire will exacerbate an electrical one. Think about the difference between throwing water on a fireplace and on a computer. D – Metal based fires. Quite rare in a non-industrial setting, so most extinguishers aren’t cleared for it. K – The last rating, really for extinguishers that are specifically aimed at fires in industrial kitchens. Each letter will be accompanied by a number; this number will indicate how much (in volume) of that type of fire the extinguisher can handle. The most versatile home extinguishers will be ABC certified, since those are the fires they’re most likely to have to handle. Q: What does higher classification mean? A: Classification really just refers to how much fire an extinguisher can put out. The higher the classification, the more fire the extinguisher is going to be able to handle. Generally, the higher classification extinguishers won’t be necessary for homes, simply because the fires that they’ll have to deal with won’t need that much power. Q: What is the gauge on my fire extinguisher for? A: The gauge is to check the pressure of the extinguisher. Pressure is extremely important because, without pressure, the substance that is supposed to put out the fire won’t spray out at all. You generally won’t be able to do anything about a low-pressure extinguisher yourself, but check the gauge regularly, so that you know if there’s a problem you need to get the extinguisher looked at for. Q: Can fire extinguishers damage my property? A: Yes. The dry chemicals inside the extinguisher that put out the fire can interact with your property and damage it. However, that’s somewhat of a moot point. You’re not spraying a fire to save the stuff that’s already on fire; if it’s on fire, then it’s not coming out of this ordeal undamaged no matter what you do. You spray a fire to protect the things around it from also catching on fire. However, and especially in automobiles, there is some call for extinguisher spray that won’t damage the material that’s being sprayed at. That’s where the more expensive clean agent comes in; it smothers fire without (further) damaging the substance that’s on fire.